The Pesky Pole : Could David Ortiz Become The Next Johnny Bench? Commissioner Manfred is worried about baseball's future and the appeal it has to the younger generation of fans. It made me think about my childhood and how I became such a huge baseball fan. I suddenly found myself on YouTube watching old episodes of This Week in Baseball and The Baseball Bunch. I thought to myself, why isn't there this time of programming for today's kids? Well, it could be on the way. Steve Church began development on another Baseball Bunch, this time under a production shingle N-X211 Entertainment / CG Partners with actor John Goodman, This re-boot would still have a MLB star as host and Phillie Phanatic as the comic relief in a series of family friendly Saturday Night Live type skits, alongside a new cast of kids. In describing his vision for the premise of the show, Church stated "It's a little bit more scripted (oriented), (although) we're still going to have that Big League tip in there. We're still going to have the host's friends come on the show and teach the kids how to play the game. Those elements are going to still be there." 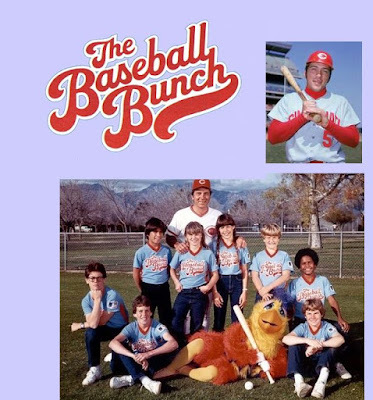 Recently (2016) WME/IMG Sports contacted Church's agent Jason Dravis, President of The Dravis Agency in Studio City, California, (properties include Hunger Games, Hugo) talks and development is underway for the reboot of the Baseball Bunch. Short list of potential hosts are rumored to be David Ortiz, Albert Pujols, and the Phillie Phanatic. Sources close to the project say WME/ IMG sees the Baseball Bunch Series as a launch to expand and spin off into other sports series runs such as Football, Hockey, Basketball, branding with the IMG Academy.